Beautiful Turnkey Single Story with large lot! Pride of ownership shines throughout this 4 Bedroom, 2 Bathroom home that has been meticulously maintained by the original owners. Walk into an open floor plan with vaulted ceilings, engineered wood flooring, ceiling fans and upgraded fixtures throughout. 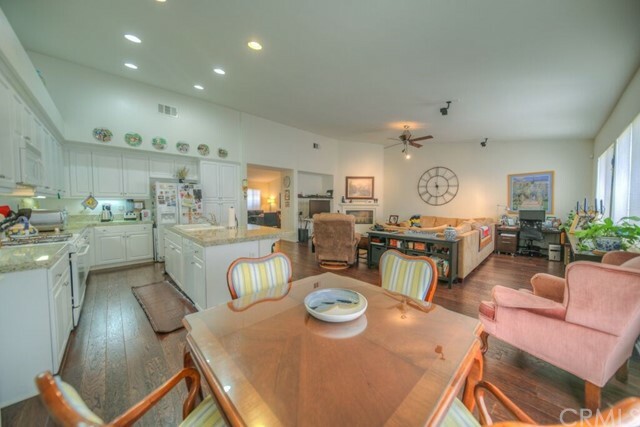 Has a gourmet kitchen with large island, breakfast bar and granite counters. 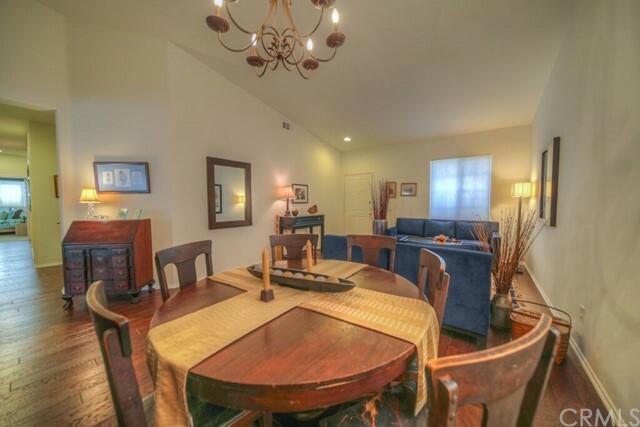 Enjoy an open, seperate living room with fireplace and family room-dining room combo. 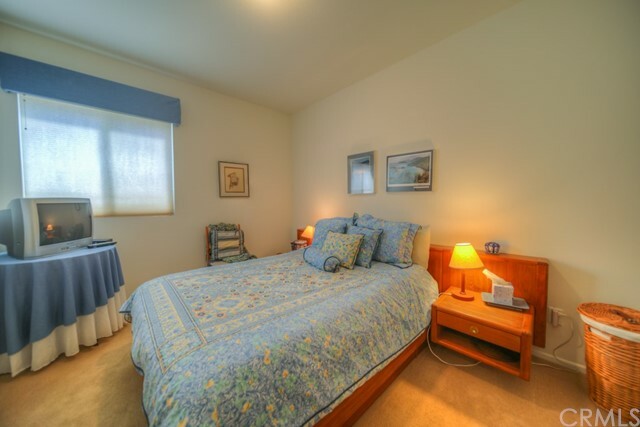 Also features large rooms with walk in closet and extra bath with dual sinks and tub-shower. 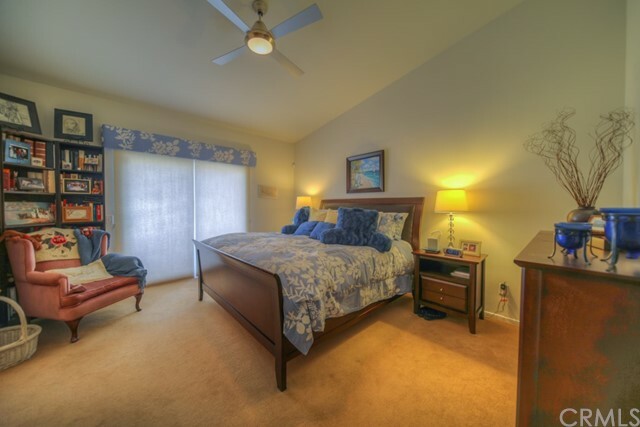 Master bedroom features vaulted ceilings, walk in closet and slider to the back patio. 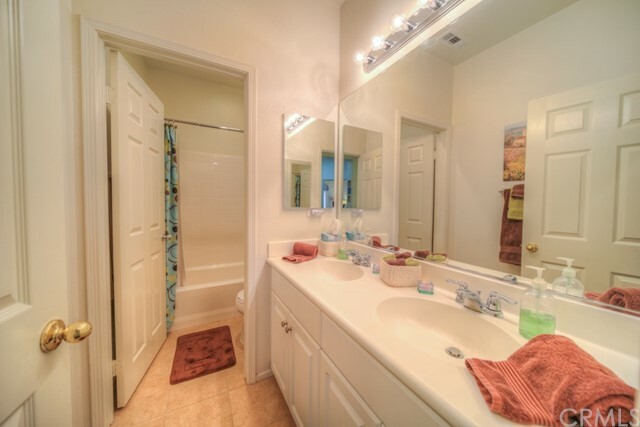 Master bath has dual sinks, seperate shower and soaking tub. There is plenty of storage and space in the spacious 3 car garage. Also features an extra large, private lot with storage shed. All this with NO H.O.A. Don't miss out on this lovely home! WELCOME to this incredible CUSTOM 4626 sq. ft. Temescal Valley home! This sprawling home has 5 bedrooms....the Master and two others on the first floor...and two upstairs with three bathrooms. The majority of the home is covered with a gorgeous engineered wood floor lain over a vinyl substrate for moisture isolation. The open kitchen boasts a Viking 6 burner gas stove, Sub-Zero refrigerator, Bosch d/w, trash compactor and Microwave. The house is plumbed in copper and has two HVAC systems servicing four zones. This home sits on 2 1/2 level acres that is fenced with white vinyl on three sides. On one side, there is a potting shed that is powered and has a separated irrigation system for the adjacent garden area for the avid gardener who wants fresh EVERYTHING and further back, there is a fruit orchard with pomegranates, tangelos, limes, lemons, nectarines, oranges, plums, avocados, grapefruit, almonds, walnuts, olives AND apples! On the other side of the property behind the generous two car garage, there is an attached .workshop that has a wood burning stove for winter heat and a 1 ton bridge crane. Compressed air is piped throughout the shop and it has a separate bathroom and a reinforced concrete 6'x6'x8'x8' walled safe room. An added BONUS for a large property of this kind is a 250 ft. well that supplies irrigation water to two 2500 gallon tanks...representing a savings of hundreds of dollars for the monthly water bill. Don't miss this special home! EXCELLENT DEVELOPER OPPORTUNITY IN THE CITY OF MENIFEE! The City of Menifee has seen an explosion of housing developments and this is one of the few remaining vacant property like this. Don't miss out on this beautiful 13.55 acre lot, ideally located on paved street between the I-15 freeway and the I-215 freeway. Could have potential use for single family housing development, multi-units, church, school, storage or large custom ranch with multi-housing units. Perfect location fronting Holland Road, possibly sub-dividable, partially flat, useable & located in an area of rapid growth and explosion of housing developments. There is no longer any houses or pool on the property (as shown in County records). Currently zoned Residential-Agricultural. The prior houses on the property had utilities (district water connected and electric), close to shopping & I-15 and I-215 freeways. Buyer to verify zoning and land use and Buyer is responsible for independently verifying the accuracy of all information regarding the property. Lender may be available for land and construction loans. Don't miss out on this rare opportunity. Submit your offer today! THE ULTIMATE EQUESTRIAN ESTATE POOL HOME WITH AMAZING VIEWS OF TEMECULA WINE COUNTRY! This true horseman's property offers 5 acres w/a beautiful 3 BD+OFFICE, 2.5 BA single story home. 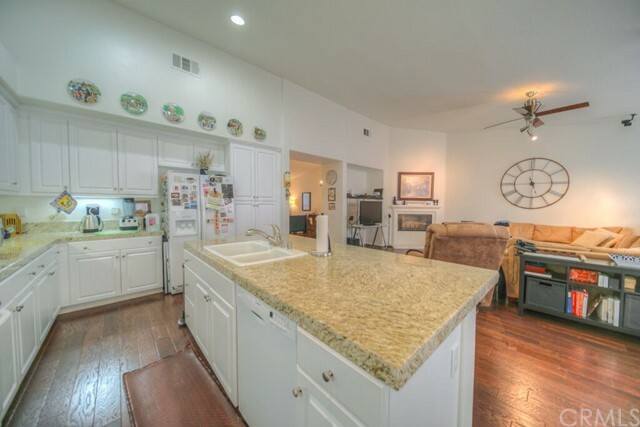 Walk into a spacious, open floorplan that has been tastefully remodeled w/vaulted ceilings, wood floors, custom fixtures & lighting, ceiling fans, recessed lighting, new paint, quartz countertops in kitchen & baths w/decorative backsplash, upgraded windows, NEST thermostat & upgraded electrical for possible addition. Relax by the wood burning fireplace in the spacious living rm while enjoying the beautiful valley views. Has gourmet kitchen w/quartz countertops, country kitchen sink, large island w/breakfast bar & upgraded stainless appliances. Includes a "finished" 3 car garage that has been insulated for possible addition. Enjoy the beautiful valley views in the front featuring a covered, wrap around porch or entertain in the back w/private Pebble Tech, salt water pool & spa incorporating "barstool" underwater seats, flagstone accents & waterfall. Also, has firepit & custom "Palapa" grill area w/refrigerator & sink. Complete this property w/full horse set up including 70x110 arena & round pen (both w/lights), 10 stall- 24x24 mare motel, 4-200 x 50 paddocks, 2-60 x 30 paddocks, 40x60 paddock, free standing 24x24, 30 x 40 pipe corral, 4 tack sheds, hay shed, RV hook ups, 7 cross tie stations, water & electric throughout. 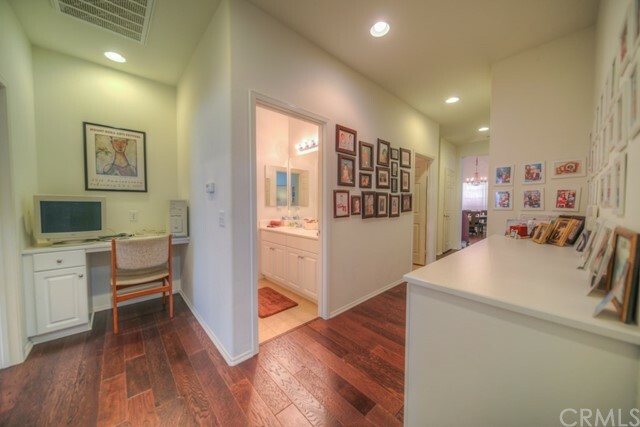 Prime location in the heart of Temecula Wine Country with trail access. PRIDE OF OWNERSHIP SHINES THROUGHOUT this beautiful single story home in a "park-like" setting, located on one of the most sought after streets in Temecula Valley! This unique horse property features a manicured, 100% useable topography on almost 1 acre. This exceptionally maintained home (one owner) offers a spacious 2324 sq. ft.-4 BD, 2.5 BA w/newer paint, vaulted ceilings, custom light fixtures & window coverings, ceiling fans, recessed lighting & tile floors. Offers large formal dining area w/wet bar, open living rm w/"see through" gas fireplace & family room w/slider leading to back patio. Has oversized bedrooms including double door Master BD w/gas fireplace, massive walk-in closet & slider leading to private patio. Master BA includes dual sinks, vanity, jacuzzi tub & separate shower. The spacious kitchen offers plenty of cabinetry, center island w/stovetop & breakfast area w/slider leading to back patio. Enjoy the tranquility & views from the covered patio in the "park-like" backyard including built in gas grill, newer spa, custom lamp lighting, vegetable/herb garden, storage shed, white PVC fencing, children's play set, dog run & access to bridle trails. Large 4 car garage offering workshop & pull through/"tandem" section large enough for truck, small boat/toys. Excellent RV/trailer access w/plenty of room for paddocks, barn & arena. Located on a quiet cul-de-sac among large, beautiful custom homes & access to horse trails. All this & low taxes! Perfect country setting in the highly sought after J-Bar Ranch Community! Charming custom single story home w/2 car garage..Additional detached 2 car garage w/workshop..R.V. access/storage..flat 1.14 acres w/6 stall barn..Who says you can't have it all? 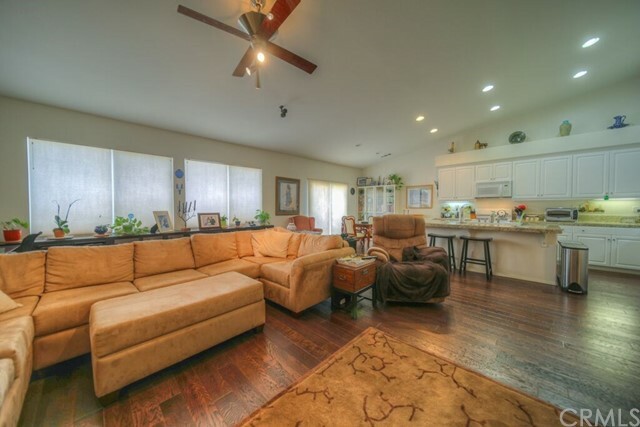 This amazing Menifee horse property represents all the reasons people move to the wonderful community of J-Bar Ranch. Curb appeal begins w/the park-like setting & gated R.V./ trailer access leading to the seperate, finished 2 car garage (perfect for man cave/workshop/auto buff), 6 stall barn (5- 12x12 stalls w/turnouts & finished tack room, fly system, auto waterers & mats), fruit trees, tractor storage, hay shed, wash rack, horse paddocks & XL pasture/arena. The spacious 3 BD, 2 BA home is a Ranch Style home that has been remodeled & upgraded w/today's finest features. Featuring hard wood flooring, granite counters, custom tiling in bathrooms, plantation shutters, crown molding, custom fixtures, ceiling fans & upgraded windows+sliding glass doors. 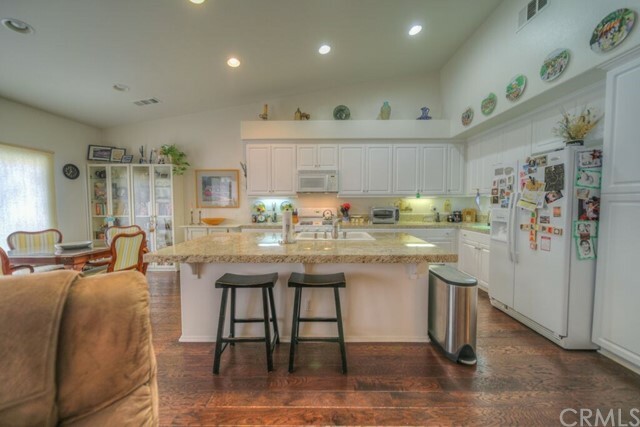 Has a tastifully remodeled kitchen w/granite counters, custom cabinetry, stainless appliances & 2 pantries. 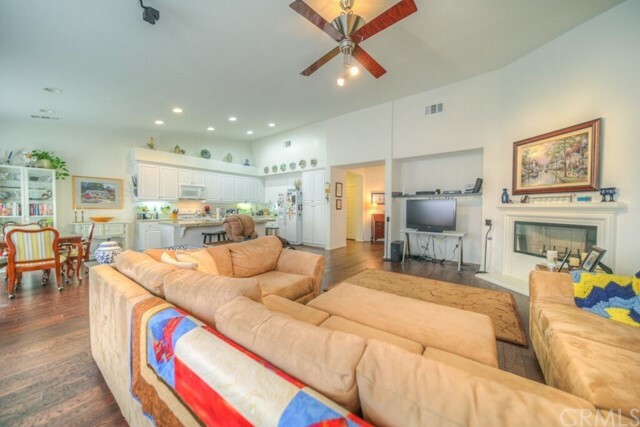 Offers a spacious living room w/fireplace, family room-dining room combo, large Master BD w/updated Master BA & seperate breakfast area w/slider leading to a private, covered patio+sitting area. The home functions perfectly for family enjoyment and having your own private ranch. All this with community bridle trails, no HOA fees & low taxes! Welcome to your own private paradise at the tip of Lake Elsinore on almost 4 acres & zoned for horses! Exquisite views from this beautiful custom 5 bedrooms, 3 bathrooms, 3648 sq ft remodeled home. This private retreat is perfect for entertaining w/extra large lot, sparkling pool w/gazebo area, private covered patio dining w/fire pit, large open picnic/dining area w/custom lighting, 2 wrap around decks & private access to Lake Elsinore. This one of a kind home features an open floor plan w/large living-dining area, wood flooring, new fixtures & fireplace. Also has remodeled kitchen w/granite counters, new fixtures, stainless appliances, large walk-in pantry, custom fire place & breakfast area. Includes 2 downstairs Master Bedrooms w/slider access to the lower deck, remodeled bathrooms featuring granite, custom tiling & upgraded fixtures. Walk upstairs to a vaulted, wood beamed ceiling bonus rm-family rm combo w/sliders leading to upper deck & amazing views of the lake & valley. Upstairs includes 3 large bedrooms w/slider access to the upper deck & additional remodeled bathroom w/granite counters, upgraded fixtures & custom tiling. Additional upgrades include ceiling fans & new custom lighting throughout. Also, has 2 car garage w/workshop/gym. Enjoy your outdoors experience w/a seasonal stream, mature landscape, beautiful shade trees, large vacant lower lots w/private lake access & views, views, views! All this w/NO H.O.A & low taxes. Must see to appreciate! TRULY A UNIQUE GEM! Beautiful Pool Home Estate situated on one of the largest lots in a highly sought after Murrieta community! Located on a Cul-de-Sac & offering amazing Mountain views, this flat & useable 11,326 sq ft manicured lot is perfect for entertaining with a fully fenced yard, large Pebble-tech pool & spa, basketball court with basketball hoop & rear patio with Gazebo. Walk into 3,259 sq ft open floor plan with grand staircase, vaulted ceilings, nuetral tones, formal dining room, large living room, family room with fireplace, downstairs bedroom & bathroom, indoor laundry, upstairs den/office with fireplace that can serve as a 6th bedroom, ceiling fan & wood & tile floors. Also includes a gourmet kitchen with stainless appliances, NEW cooktop, NEW faucet & center island, XL Master BD with vaulted ceilings & fireplace leading to open Master BA w/refreshing soaking tub, seperate shower, dual sinks & walk-in closet. Upgrades include NEW custom garage doors on the 3 car garage, NEW front windows- PVC fencing- water heater- drapes- light fixtures- pool equipment- dual AC & furnace. All this w/low taxes & NO H.O.A. REMARKABLE RANCH PROPERTY...Newly remodeled and ready to move in! Welcome to this special ranch property in the desirable area of Woodcrest offering incredible views and almost one acre lot zoned for horses and livestock. Featuring a custom built two-story childrens playhouse, spacious storage shed, mature trees, fenced back lot and R.V./Boat parking. This turn key estate awaits you including updated and partially remodeled single story floor plan with large three bedrooms, spacious living room/dining room combo, family room with traditional brick fireplace and grand mantle and dual sliders that access back porch. Master bedroom has his and her closets, large windows to enjoy the views and slider leading to back yard. 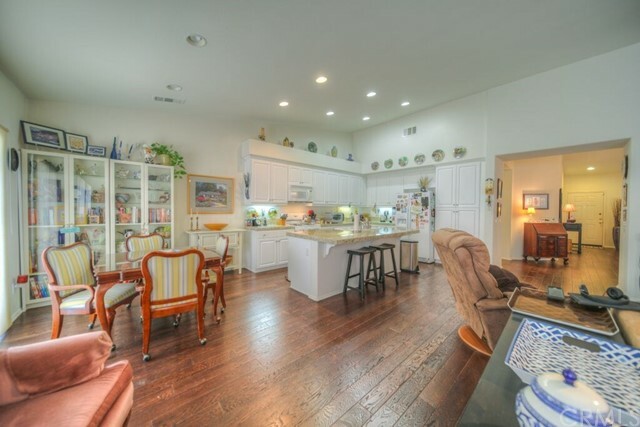 Has a fully remodeled, gourmet kitchen with stainless appliances, granite counters, custom slate backsplash and wood accented celing with elegant light fixture. Also, features ceiling fans throughout, new whole house fan, solar tube skylights, new septic tank, new custom fixtures, new blinds, new tile, new carpet and paint in nuetral/gray tones. This home is complete with a large 3 car garage with a pull down attic and additional storage. Enjoy peaceful evenings on the back porch capturing the amazing views and overlooking the extra large lot. Plenty of room for all of your animals, toys and even a garden/orchard. All this w/low taxes, NO H.O.A and located in a beautiful horse community including nearby trails. A must see! Spectacular Bridlevail Pool Home on extra large lot! The exceptional location at the apex of a gentle knoll within this quiet upscale community offers lovely views superior to most in the area. Enjoy unlimited entertaining on your 10,000+sq ft lot w/private rear yard, gorgeous sparkling pool & perfectly placed covered patio. 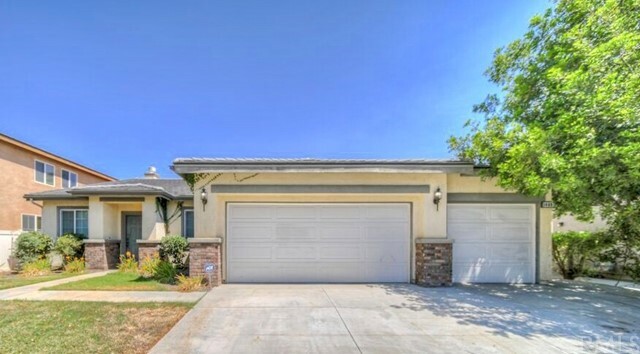 The turnkey, recently remodeled 2 story Temecula hm features 4 large BD & 3 full BA w/dramatic staircase & vaulted ceilings. Enjoy the family rm fireplace & lovely views from the open living rm. The fantastic kitchen has a walk-in pantry, brand new easy-close cabinets, new granite counters w/custom tile backsplash, newer dishwasher, range, microwave & new stainless sink. Has ceiling fans, high quality crown molding & new flooring throughout. 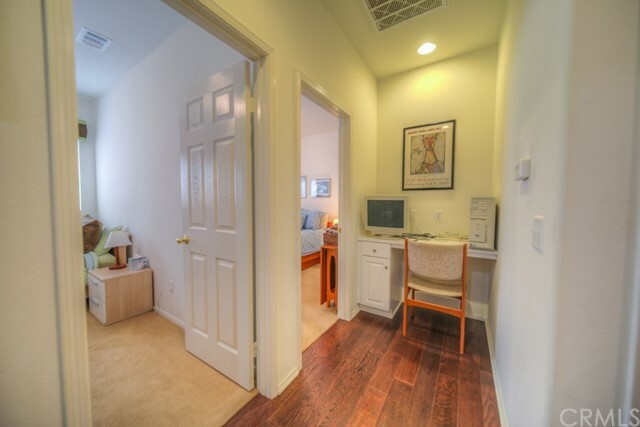 Great views from the huge master suite w/ample closet space & built-in organizer. The master BA features tile flooring, granite countertop, separate spa tub & shower w/private commode. The downstairs BD, currently serves as an office/den & can easily be converted to enclosed BD. This home is ideally located within the very desirable Bridlevale Community w/added security of the community watch program. This perfect location is situated closely to the community pool & clubhouse. Community features Pechanga Casino & Redhawk Golf Course. The immaculate condition, large lot w/pool, wonderful upgrades, location & views; combined w/the outstanding school district, low taxes & low HOA create an opportunity not to be missed! BACK ON THE MARKET! Don't miss out the 2nd time around! PRIVATE TEMECULA VALLEY HORSE RANCH fully set up w/quality horse facilities on 2.5 acres of flat, useable land. 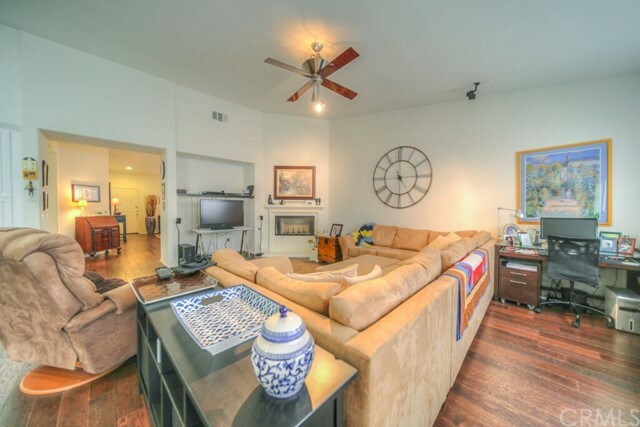 Exquisite views from this beautiful 3 BD, 2 BA single story w/an ADDITIONAL detached 2 BD, 1 BA guest unit (apprx 800 sq ft). Upgraded, 1796 sq ft hm w/open floor plan & NEW carpet-paint-windows-light fixtures & ceiling fans, engineered wd & tile flooring. Spacious living rm w/wd burning stove, dining area, additional family rm/den/4th BD, open kitchen w/newer custom cabinetry, pantry, center island & breakfast bar. Has XL Master BD w/walk-in closet & additional closet, indoor laundry/mud room w/plenty cabinets/linen. Experience evenings under the covered patio in a tranquil setting complete with fire pit, Koi pond & amazing views! Features a huge detached 4 car garage w/workshop. FULLY SET UP FOR HORSES including 100% useable 2.5 acre horse property w/6 stall- 12x24 fully covered Mare Motel, 3 pipe corral turnouts, cross tie area w/mats, wash rack, storage shed, 60 bale hay storage, tack room, auto water, 6 ft tall x 50 ft. welded wire pen & L sand footing Arena. Has 2 producing wells & storage tank. Located in a Park-like setting, off paved road, trailer/RV access & hookups. Ideal for the horse enthusiast w/access to trails from the property. NO H.O.A & low taxes. Located on the Temecula-Hemet border in Temecula Valley Wine Country, minutes away from Wilson Creek Winery. Welcome to your own private Temecula Valley Horse Utopia! Features a fully set up working horse ranch complete with quality horse facilities on 2.5 acres of mostly flat & 100% useable land. Includes exquisite views from this beautiful 3 bedroom, 2 bathroom single story w/ an ADDITIONAL detached 2 bedroom, 1 bathroom guest home. This One Of A Kind Horse Property features: *Large, upgraded, 1796 sq ft, single story home w/ open floor plan *Furnished 2 bedroom detached guest unit w/ living room, kitchen & bathroom (approximately 800 sq ft) w/ separate septic & electric. Ideal for a caretaker, renter or family! *New carpet, new paint, new windows, new light fixtures, new ceiling fans, upgraded engineered wood & tile flooring *Spacious living room w/ wood burning stove *Separate dining area *Additional family room that can be used as a den/office or 4th bedroom *Grand kitchen w/ newer custom cabinetry, pantry, large center island & breakfast bar *Spacious bedrooms w/ceiling fans & one mirrored wardrobe *Extra large Master Bedroom w/ walk-in closet & additional closet *Large indoor laundry/mud room with lots of cabinets/linen *Covered rear patio in a tranquil setting complete w/ fire pit, Koi pond & amazing views *Detached 4 car garage w/ workshop *FULLY SET UP FOR HORSES including 100% useable 2.5 acre horse property including 6 stall- 12x24 fully covered Mare Motel, 3 pipe corral turnouts, cross tie area w/ mats, wash rack, large additional storage shed, up to 60 bale hay storage, tack room, auto water, 6 ft tall x 50 ft. welded wire stud pen & large sand footing Arena *2 producing wells w/storage tank *In a Park-like setting, off a paved road, great trailer/RV access & hookups & access to riding trails from the property *NO H.O.A & low taxes. Offered at $499,900 ***NOT on the Multiple Listing Service. ***Located at 40915 E. Benton Road, Hemet CA 92544 (On the Temecula-Hemet border) in Temecula Valley Wine Country. Easy to find, call for directions (GPS can be inaccurate). You MUST SEE this AMAZING Home for sale in Menifee on over THREE ACRES with a 3 Car Garage and a permitted 2 story WORKSHOP! SOLAR PANELS ! Electricity cost was only $405 in 2014. 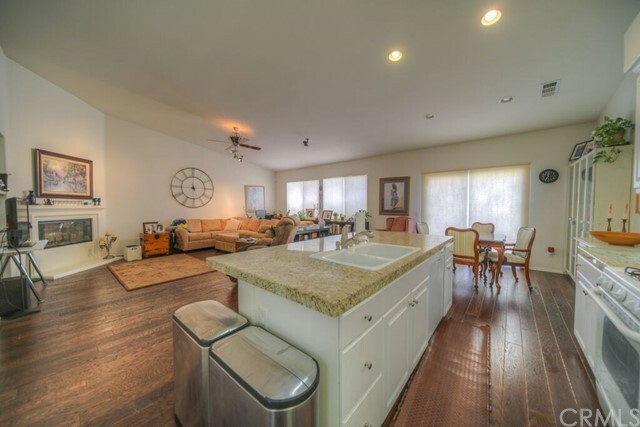 The main house has custom tile floors in the Kitchen and Bathrooms. The kitchen is upgraded with Corian countertops, a sink with Grohe fixture, a trash compactor and a high end 4-burner stove with warming unit electric cooktop by Gaggenau. The bathrooms are also upgraded with Corian and Grohe fixtures. In addition to the Beautiful Home and The Workshop, there are 3 other out buildings fondly named: The Chapel, The Potting Shed and The Outhouse. The workshop has 3/4" & 1/2" copper lines for compressed air; there is a 200 amp sub-panel and an additional 60 amp sub-panel with approx. 15 110v outlets & 4 220v single-phase outlets. A new A/C and Heat Pump was installed in the home in Sept. 2010 and included all new duct work and additional attic insulation. A custom Alarm System, and Verizon FIOS is wired thought the home and the workshop. This property is absolutely AMAZING and a MUST see for folks wanting to experience a little Country in the City. Oh, and don't be shy of this dirt road because it is privately owned and maintained by the homeowners in this community. Lovely Winchester single story home with spacious 3 bedrooms, 2.5 bathrooms and large lot. Walk into a gated front courtyard that leads to the front door. Has a light and bright open floor plan with grand entry, vaulted ceilings, extra large living room with surround sound and fireplace, additional family room with fireplace, formal dining area with French Doors leading to the courtyard, spacious bedrooms, large full bath with dual sinks and open kitchen including an oversized center island and walk-in pantry. 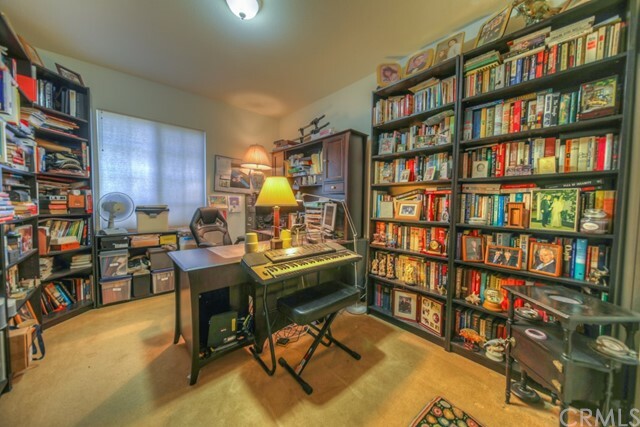 Upgrades include custom fixtures, fans and upgraded carpet throughout. Has indoor laundry, office retreat, oversized Master Bedroom with his and her walk in closets and large Master Bathroom with dual sinks, seperate soaking tub & shower. Low maintenance yard w/plenty of room for the new Buyers landscape ideas. Great location close to the Hwy 79 and minutes from shopping, dining & the Temecula Promenade Mall. This turnkey home is ready to move right in including washer, dryer and refrigerator. Hurry before this one is gone! EXCELLENT OPPORTUNITY for mini ranch with future investment potential! Beautiful views awaits you from this charming single story home on a ONE acre, flat, useable lot complete with white picket fence. This fully equiped horse property includes pipe corrals/turnouts, large area for arena & roundpen dog run & horse shelter. The home features an open, light & bright floorpan with 3 bedrooms, 2 bathrooms, open living room with vaulted celing, seperate dining room, indoor laundry room/mud room & spacious kitchen with breakfast counter. 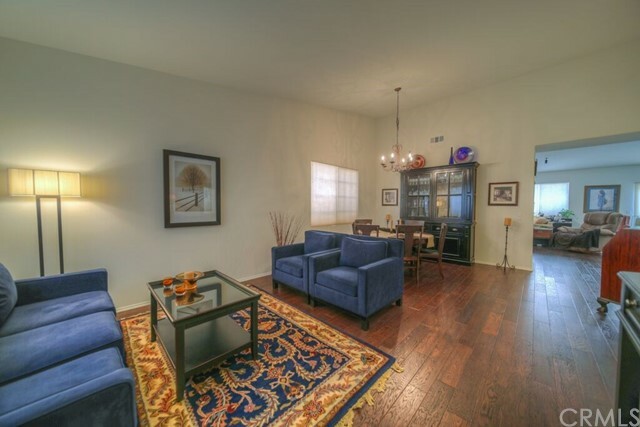 Has large bedrooms including Master Bedroom with walk-in closet. Master Bath includes dual sinks and soaking tub & seperate shower. Upgrades include newer roof, dishwasher, water heater & windows. 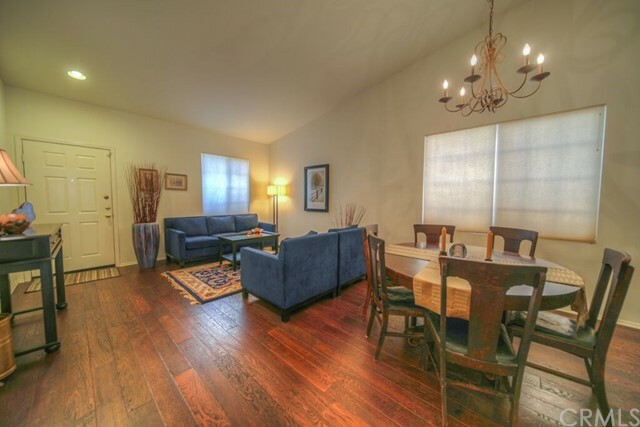 Features vaulted ceilings & wood laminate flooring throughout. Also, features an additional 4 car garage with "pull through" access to back yard, RV-boat-trailer access & parking, low maintainance landscaping & several mature trees. Feel the peace and tranquility while enjoying the mountain and meadow views. Also, offers future investment potential in a rapidly growing area of Commercial, Industrial & Multi-housing. All this with no H.O.A. and low taxes! Exquisite single story home in Heritage Lakes! Walk into a light and bright open floorplan offering 3 bedrooms with office/potential 4th bedroom, 2 bathrooms & 3 car garage. Find quality living inside with Plantation Shutters, ceiling fans, extra linen/storage & wood flooring throughout. Upgrades include whole house Halo 5 Filtration System, tankless water heater and anti-theft "automatic" garage door locks. Has gourmet kitchen with plenty of cabinetry, large center island & spacious dining area with door leading to the rear garden. 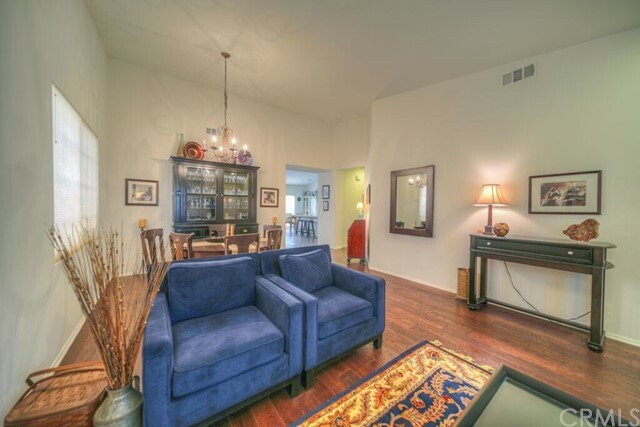 Stay cozy by the fireplace in the large living room with high ceilings & view of the manicured yard. 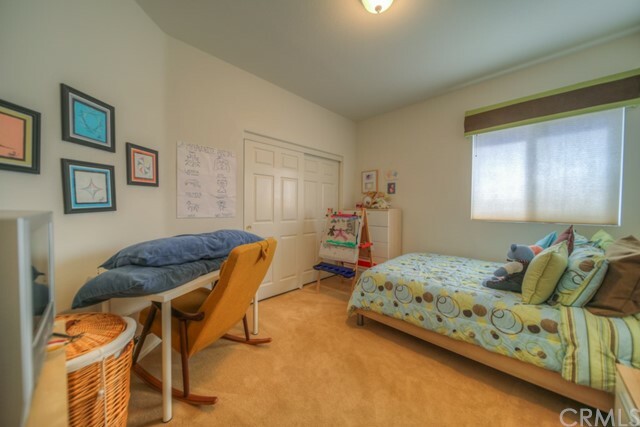 Features large bedrooms including Master with door leading to the beautiful yard & dual cedar-lined walk-in closets. 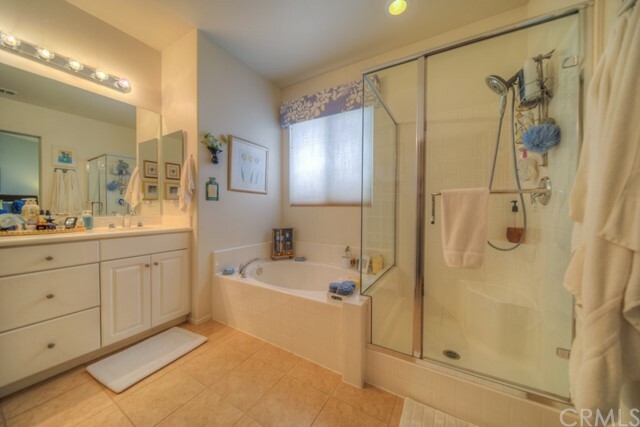 Has large Master Bathroom with dual sinks, seperate shower & relaxing Jacuzzi tub. Pride of ownership shows outdoors with custom patio walk ways & stepping stones, fully landscaped & private herb garden. Also includes individual laundry room and large 3 car tandem garage with additional area for workshop/storage or motorcycles. All this & a low H.O.A. including community activities, access to the lake, walking paths, park, clubhouse with Bbque area & large swimming pool. Charming single story home...ready to move in! Great cul-de-sac location with small RV/boat parking and above ground pool. Has a quaint welcoming entry complete with front porch swing. Offers an open floorpan with large 3 bedrooms, 2 bathrooms, nuetral tones, crown molding, surround sound, hardwood and tile flooring and new carpet in bedroom. Master has his and her mirrored wardrobe closets and French Doors leading to a side patio. 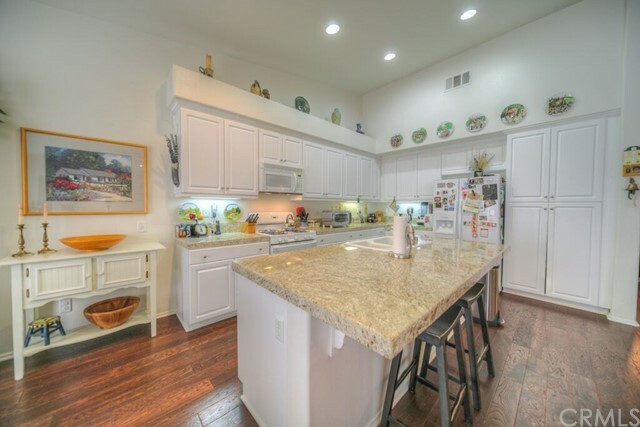 Light and bright kitchen has custom cabinetry and backsplash tile, hanging pot rack and new stainless appliances. Dining/eating area has French Doors leading to an additional side patio with new patio cover and fire pit. The nicely landscaped front and back yard and large lot includes newer fencing and gates, newly stuccoed exterior, fruit trees, storage sheds, above ground pool and viewing deck. No HOA, low taxes, mountain views and close to the lake. Perfect for first time buyers...including refrigerator, washer and dryer. Come see now, as this turnkey home will not last! BACK ON THE MARKET...EXCELLENT OPPORTUNITY! 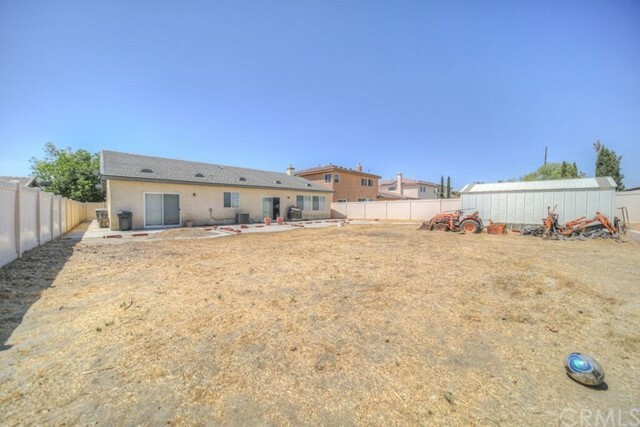 Great flat 2.01 acre lot, close to the I-15 freeway with potential use for Multi-units, church, school, storage or custom ranch. Perfect location fronting paved Palomar Street near Clinton Keith Rd, sub-dividable, flat, useable & located between Mixed Use & Commercial parcels. Has utilities (district water, electric, sewer) in the street, accessible from 2 roads, close to shopping & I-15 freeway. General Plan designation is MHDR (Medium High Density Residential) 5-8 DU/Acre. Buyer to verify zoning and land use. Lender is available for land and construction loans. Seller is willing to do a partial carry. Submit your offer today! 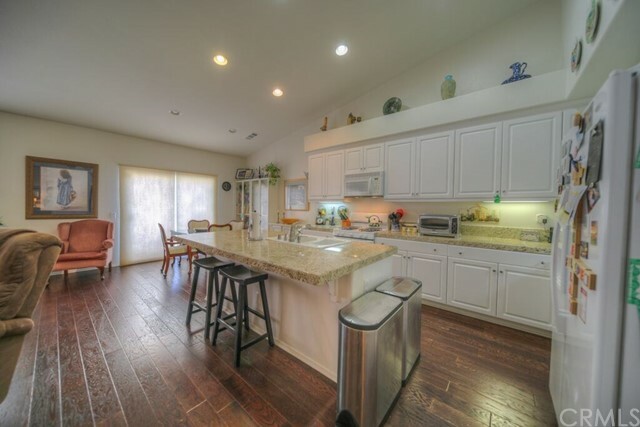 **MUST SEE, Menifee area beauty under $300k! 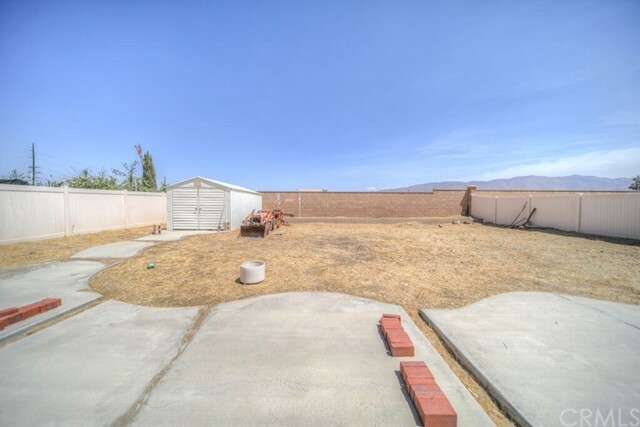 This wonderful corner lot home is located in a family friendly neighborhood in Homeland just outside the Menifee border near Heritage High School. The gorgeous single story family home is Turn Key and has great curb appeal with artificial grass and drought resistant landscaping! The home has a bright open floor plan with plenty of natural light. It features 1578 SqFt of living space with 3 bedrooms and 2 baths and a pool sized lot with 7,841 SqFt lot with an Almumawood patio as well as a gated dog run. The bright and airy formal living room is inviting with a straight view of the family room with a fireplace ready to keep you nice and toasty in the winter time. The dining area sits next to the kitchen with tile countertops and white appliances. 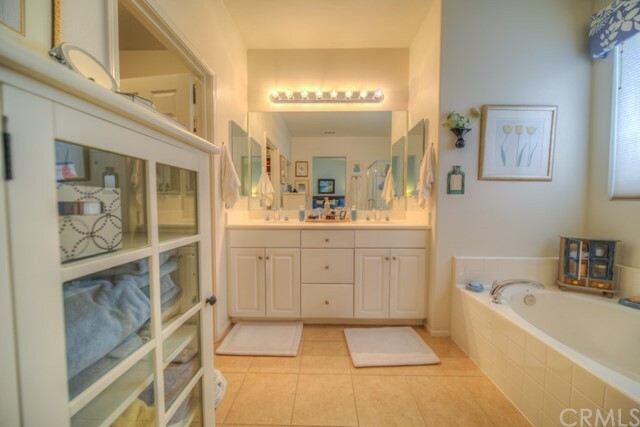 The master bedroom is nice and bright and features a spa like master bath with two sinks and a walk-in closet. This great home has a 3 car garage big enough to fit your toys as well as enough room in the drive way. 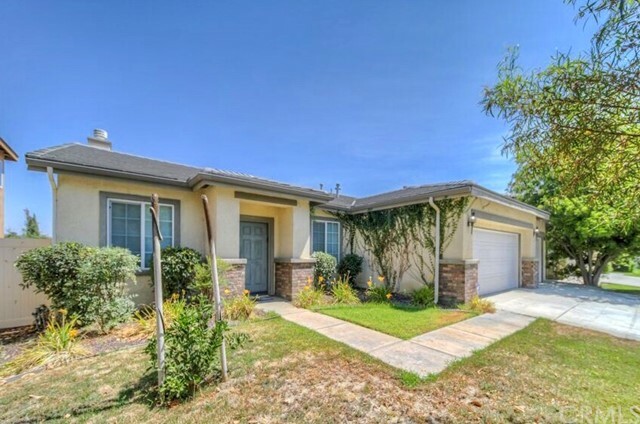 Conveniently located within miles from the freeway, only minutes from Heritage High School, and within walking distance of Harvest Valley Elementary the community center as well as the park, this home is in a great location. Don't miss out on this beautifully renovated 3 bedroom, 2 bathroom single story home in a much sought after (55+) senior community. Upgraded throughout including wood laminate floors, newer doors, brushed nickel hardware, newer ceiling fans and light fixtures, newer copper plumbing, newer dual pane windows and newer paint inside and out. Open and updated kitchen includes newer cabinetry, granite countertops and stainless appliances. 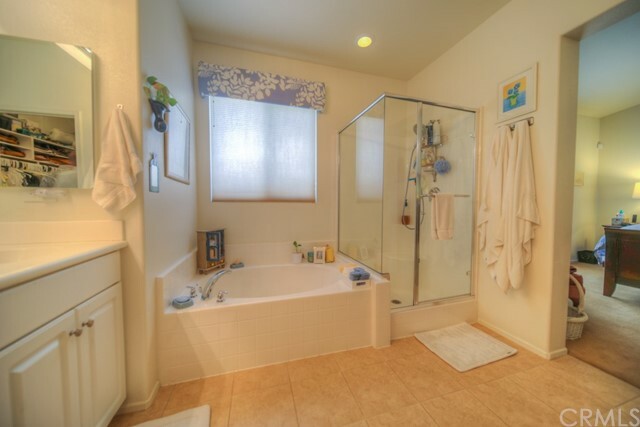 Remodeled bathrooms include newer vanities, granite counters and newer shower and tubs. 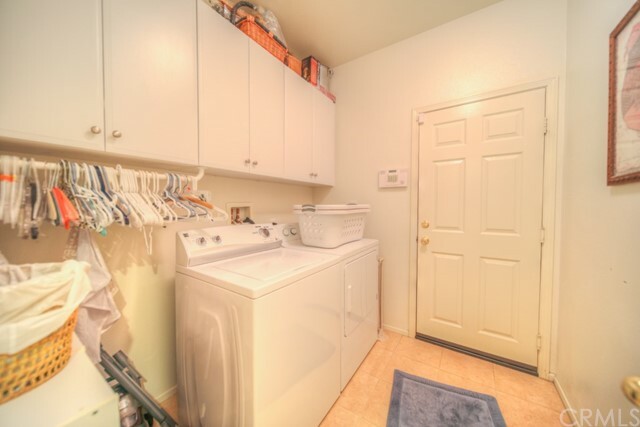 Has larger, light and bright rooms including indoor laundry room with newer cabinetry. Also, has a BONUS fully enclosed and finished sunroom that is not included in the square footage. In the Cherry Hills Golf Course Community. Take advantage of the HOA amenities including pool & spa, clubhouse & gym. All of this with low HOA and low taxes! Just like new! Beautiful single story in the highly desirable "Edgewood at the Cove". Move right in to this "energy efficient", fully upgraded 3 bedroom, 2 bathroom home featuring newer tile and vinyl flooring, newer carpet and paint, crown molding, newer blinds and celing fans throughout. Has open kitchen with elegant cabinetry, large pantry, huge wrap around counter with breakfast bar and all new appliances. Walk in to the large family room and dining area with surround sound wiring and built-in speakers. Also, features large rooms with updgraded extra bathroom and spacious Master with oversized walk in closet. Enjoy this fully landscaped lot with private yard, fantastic mountain views and breathtaking sunsets. All this and you get SOLAR fully paid for which allows for extremely low utility bills. Low monthly HOA fee includes parks, community trails and picnic areas. 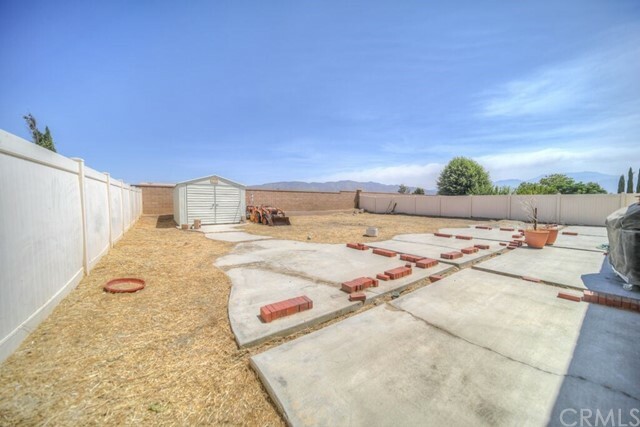 Close to shopping, schools and all the recreation benefits of Lake Perris! Hurry, before this one is gone! This charming 3 Bed / 3 Bath home sits on a beautiful 4.1 acres surrounded by mature oak trees and mountainous view. Everything you need in a home or getaway private retreat with upgraded kitchen, cooling system, solar panels, propane, well, and septic on property. HAVE YOUR OWN PIECE OF PARADISE! Beautiful 22.50 acres with amazing views! Private and paritally set back from El Toro Road. Has a flat area ideal for possible Manufactured Home or build your own Custom Home with flat and rolling topography. Perfect for a retreat/ growing vegetation/ multiple homes, sub-division etc. There is current electric on the property. Has seasonal spring for possible good well location. Buyer to verify land information and use. Lender is available for land and construction loans. Seller is willing to do a partial carry (Seller financing). Submit your offer today!